NASCAR may finally give its teams a choice in tires next year, reports Fox Sports. This year’s Monster Energy NASCAR Cup All-Star Race at Charlotte Motor Speedway will allow teams to test out the two compounds and see if they like having the choice. If it’s a hit, expect to see these two options return in 2018. Tire choice is an essential part of the strategy for many racing series, but it hasn’t been in NASCAR. The upside to NASCAR’s single-tire approach is cost. Goodyear only has to make one spec of tire to bring to races. The downside is that there’s no drama in whether or not a team can lose because they put on the wrong tire compound at the wrong time, or expect their driver to work a miracle on a completely dead set of soft compound tires. NASCAR racers will get to choose between the normal, existing tire compound which will have a yellow Goodyear logo on the side, and a softer one marked with a green Goodyear logo. The softer tire will be up to four tenths of a second faster per lap of Charlotte before it starts to wear out, get hot and lose grip, per Fox Sports. 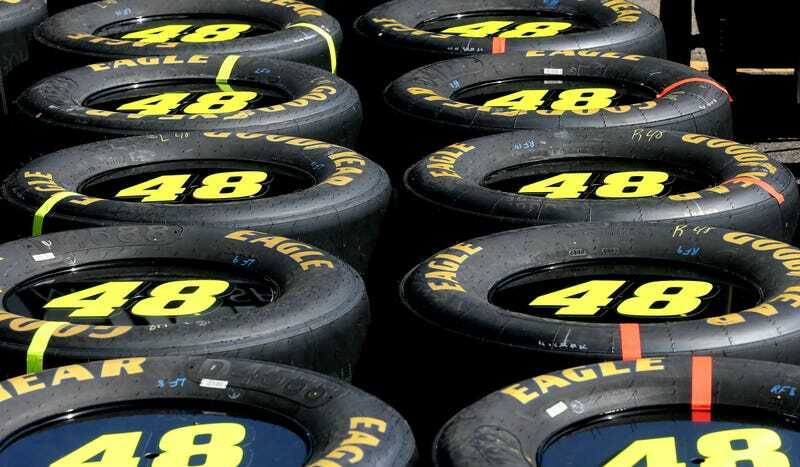 However, it is expected that the softer tires will wear out faster than the regular NASCAR tire, as “soft” compounds do in nearly every other racing series on the planet. This year’s All-Star Race will be is split into three 20-lap segments before a fourth and final 10-lap segment. Only the 10 cars with the best average finish in the first three stages before will compete in the final segment. Those 10 cars will then be lined up by average finishing position and given an option to pit, with the race off pit road determining the starting order for that last segment—that is, unless they put on green tires. Teams will be able to swap to these faster green tires at any point during the All-Star Race, however, if they do so in the last 10-lap segment of the 70-lap race, they will have to rejoin the field at the back of the grid. The All-Star Race has always been a rolling laboratory of sorts for NASCAR to tinker with format changes, gimmicks and new ideas. This year is no different, as NASCAR Vice President and Chief Racing Development Officer Steve O’Donnell says that if the two tire compounds are a hit, they’ll stick around for the full 2018 season. 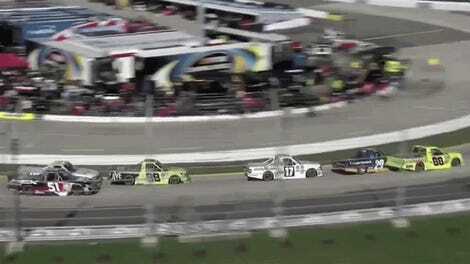 What do you think - is this something NASCAR has been missing, or is tire drama best left to the other guys? Get Excited About Tire Drama!